“Respect for the land, support of local communities and eco-sustainable choices were some of the key ethical principles that originally guided the renovation of Il Borro, and continue to drive our company core values,” said Salvatore Ferragamo, CEO of Il Borro. Il Borro becomes the first hotel in Europe to join Kind Traveler, the first socially conscious 'Give + Get' hotel booking platform that empowers travelers to become a force for good benefitting communities, the environment, and animals. Travelers will give a $10 nightly donation to a local charity that positively impacts the visiting destination, or to a favorite charity of choice on the platform. As reward for donation, travelers unlock exclusive hotel rates and other perks to book directly with the hotel. 100% of donations are given to charity, creating a triple win amongst the traveler, hotel, and charity. Il Borro has chosen to support The Meyer Children's Hospital Foundation of Florence (Italy) to facilitate positive impact in its local community. The care, health, and well-being of the child are the goals of the Meyer Children's Hospital Foundation in its fund raising activity. 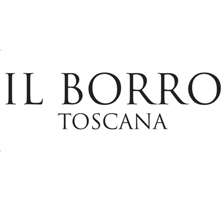 Il Borro is a family run business: the Meyer’s Children Hospital and the care and services it provides the community is extremely important to Il Borro. By offering exclusive rates as a reward for donations, guests make a conscientious decision to stay at Il Borro and support a great cause that positively impacts the visiting destination. A $10 donation to The Meyer Children's Hospital Foundation will go towards a wide range of clinical initiatives, help purchase new equipment, support recreational activities for children in the hospital and pediatric research. Il Borro and Kind Traveler have tremendous potential for positive global impact. Last year alone, more than 1.2 billion trips were taken around the world. Meanwhile, nearly 75 percent of travelers polled in Tourism Cares and Phocuswright’s Good Travels research study believe it’s important that their travel dollars benefit the communities they visit. The study also found that price is still the leading reason for booking with a particular travel company. By offering an exclusive rate on the hotel stay, Kind Traveler has created a solution that addresses both the consumer’s price motivation, as well as their desire to make a difference. Kind Traveler is completely different than an online travel agency (OTA), primarily because of the booking process and the manner in which they profile hotels. In terms of booking, Kind Traveler created a unique technology that sends the traveler’s information from Kind Traveler’s site directly to Il Borro’s booking engine to complete the transaction. This direct booking allows hotels to communicate directly with guests – before, during and after their stay. Some of Il Borro’s notable Kind Factors include USDA certification for organic wines, farm-to-table food options, recycling, solar powered renewal energy program, green sustainability team, animal sanctuary and species protection program, as well as local artisan and farmer programs in the medieval village. There is also a winery in the property, run with the greatest respect for the environment and the ecosystem, and entirely organic since 2015. “Our win-win platform offers solutions for everyone,” said Kind Traveler’s CEO & Co-Founder Jessica Blotter. “For travelers, they become warriors for good and support hotels that are making a positive impact in the world – while receiving exclusive hotel rates. For hotels, they cultivate new relationships with cause-minded consumers and take another step towards corporate social responsibility. For charities, they receive 100% of donations and a new, sustainable channel for fundraising." For more information on how Il Borro has partnered with Kind Traveler to be a force for good, visit http://www.kindtraveler.com. Stay at Il Borro and support The Meyer Children's Hospital Foundation in Florence. Share your experience on social media – @ilborro and #ilborro #aplacelikenoother - and remember #TravelKindly. Il Borro, the estate owned since 1993 by Ferruccio Ferragamo and managed by his son Salvatore Ferragamo (now Il Borro’s CEO) and his daughter Vittoria (head of the organic vegetable gardens and special projects), extends over seven hundred hectares located in the Upper Valdarno basin in the heart of Tuscany. The Estate, run with the greatest respect for the environment and the ecosystem, and entirely organic since 2015, is part of the prestigious Relais & Châteaux Association, and comprises a completely renovated medieval village where 38 elegant, refined suites are located, two luxury villas – La Dimora Il Borro and Villa Casetta – and the 18 Le Aie del Borro suites, ideal for families or groups of friends and available from June 2019. In addition to the Relais & Châteaux accommodation, “I Borrigiani”, five charming farmhouses, are run on agritourism lines. There are also two restaurants, l’Osteria del Borro and Il Borro Tuscan Bistro, under the direction of Executive Chef Andrea Campani, a Spa and the “Wine & Art” Gallery. ll Borro is also home to a winery and 45 hectares of vineyards which produce the estate’s fine wines (12 labels, of which 10 are entirely organic), 40 hectares of olive trees for the production of an excellent organic extra virgin olive oil, an organic vegetable garden and 30 beehives from which different varieties of organic honey are obtained.